Indications: (forceful) pathogens obstructing the interior: qi and blood cannot flow or lift externally. (Forceless) syncope (yang deficiency): yang is too weak to push the qi and blood outward to the exterior of the body. Explanation: this is essentially the same mechanisms as the submerged pulse. Either pathogenic buy accutane cheap online factors inhibit the rising of the yang qi, or the yang qi is too weak to lift the pulse out of the submerged level. 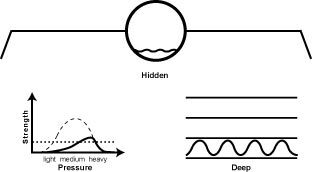 Hidden pulse is simply a deeper version of the submerged (deep) pulse. Next: let’s leather it up.